Give your firearm a tactical upgrade! 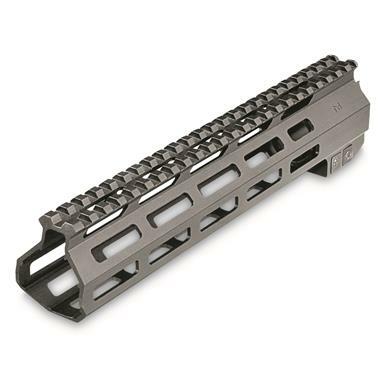 Aim Sports Handguard is made from aviation-grade 6061 aluminum and features a slim, ergonomic profile and anti-rotation tabs. Adds 7 rows of M-Lok attachment points for adding a variety of tactical accessories. Available in 3 sizes for rifles, carbines, and pistols. Aim Sports AR-15 Free Float M-Lok Handguard is rated 4.3 out of 5 by 8. Rated 5 out of 5 by Beachguy from Great looking and functional Great looking with lots of attachment points. Inexpensive and easy to attach. Rated 3 out of 5 by robert from very good handguard, one primary flaw im going to start with- this is a VERY good handguard. it looks great, feel great, and is a very solid mount.my issue is in the mounting nuts. they are cheap pot metal and both threads stripped right out whit LIGHT hand tightening. but, i picked up a couple locking nuts from the hardware store and used the bolts that came with it and now i have a VERY good handguard. if they changed the mounting nuts out for something durable, this would be five stars. Rated 5 out of 5 by chuck from aimsport handgaurd Got it in the mail today excellent product great price and the fit and finish are excellent. Definitely worth the money compared to ones over twice the price the quality is equal. 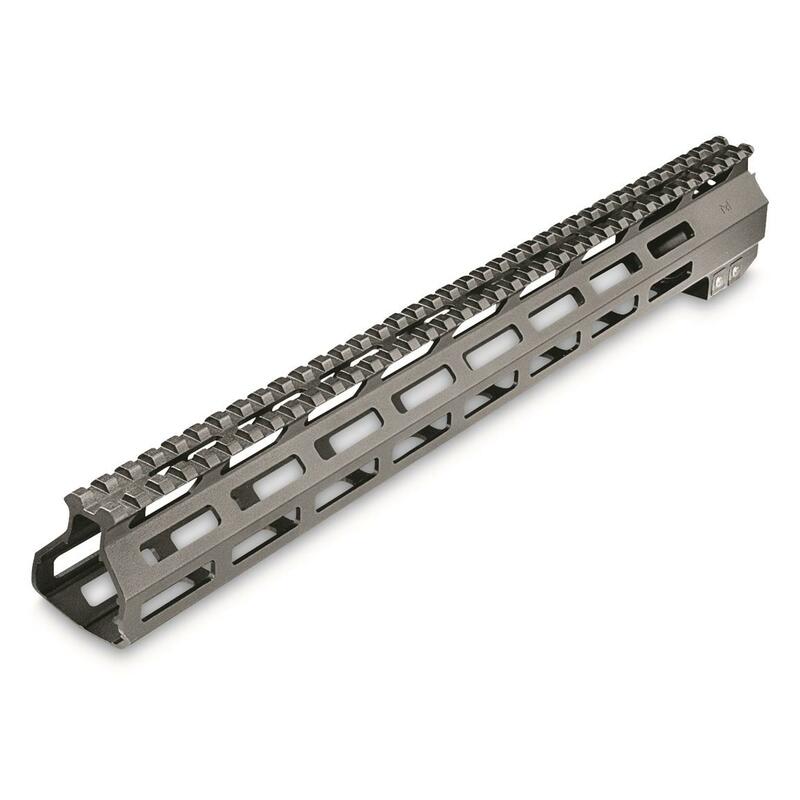 Rated 4 out of 5 by ME1776 from Aim Sports M-lok Handguard Good Fit! they all have some light tooling "shuttering" marks (not obvious but noticeable under a close inspection). The finish color is identical to anderson upper and Spikes lower. No T marks if that matters to you. Rated 4 out of 5 by Carl from Looks Good-But... For the money its a great buy, But-What are the sharp points at the back just below the rail for ? Looks like they need to be ground off to fit against the upper receiver. Rated 5 out of 5 by OldFirstSergeant from Great Upgrade For Budget AR's There are millions of people that own Budget, ( Box Store ), ARs that would like to upgrade the appearance and performance of their rifle, but don't want to spend a ton of money. For under a $100 you can add this handguard. and a low-profile gas block. That will free-float your barrel, which improves accuracy, reduce weight, improve appearance, and provide a platform for M-Lok accessories. Keymod systems are now outdated! !I have the 13 1/2" on a "Demo" AR. 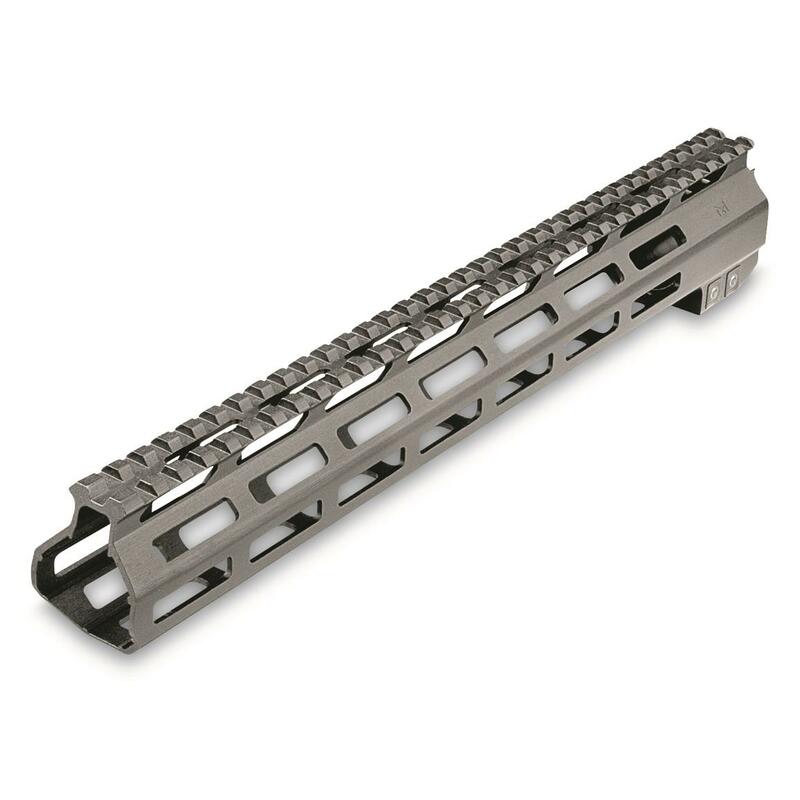 I am finding that many of my new build clients like these handguards, and are opting to take the saving and upgrade their barrel, trigger, bcg, optics, or hardware. Overall, these are good affordable handguards for the recreation shooter. Rated 3 out of 5 by Stig from Ditch the split picatinny segments This really needs to be redesigned without the split picatinny segments. It looks awful mated to a normal upper which does not have split segments. Additionally, it makes it much less comfortable to hold on to - it really does feel like a cheese grater in your hands.